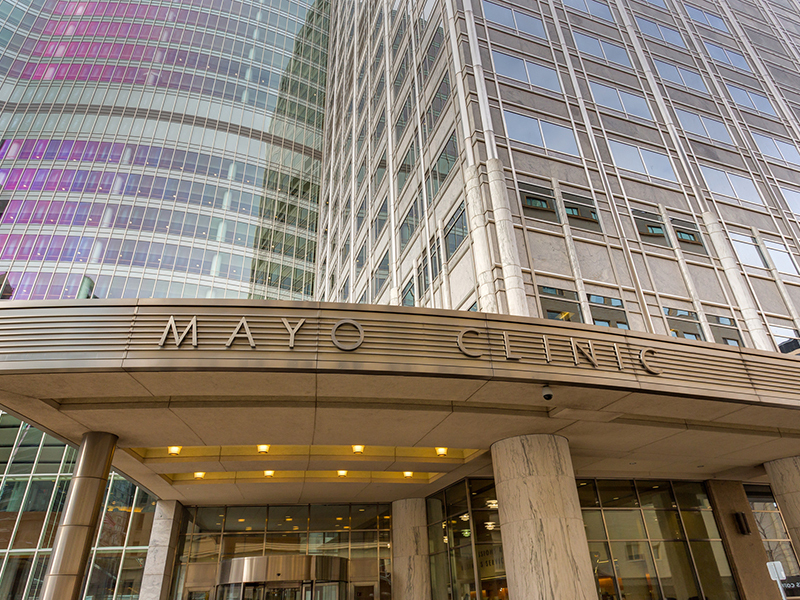 As one who heads to the Mayo Clinic for his yearly physicals, I’ve discovered something about dining in Rochester: You can treat yourself to a nice dinner, or you can treat your doc to a nice clean prep for your colonoscopy the next morning. You can’t do both (I’ve tried, but my efforts were poo-poo’d by the gastroenterology team). My most recent, however, was of a less…invasive nature. 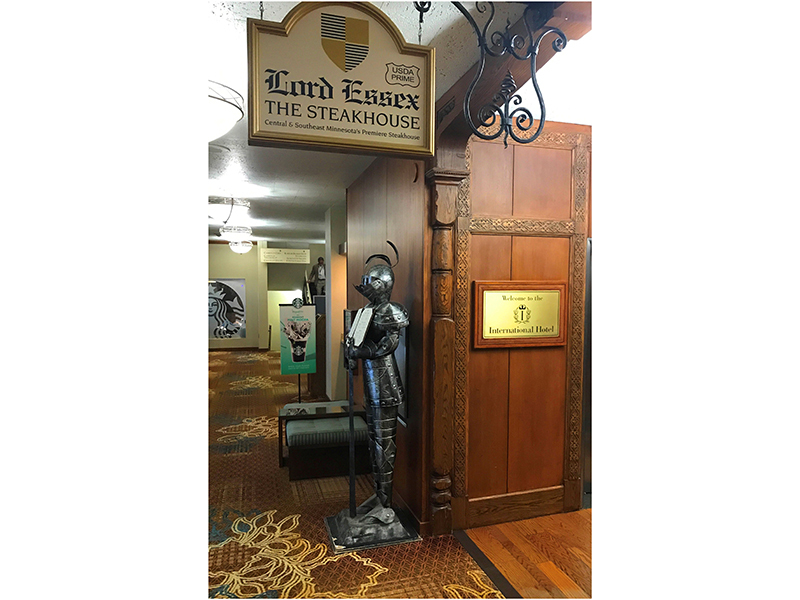 So when Joanne and I stumbled upon the semi-hidden, dinner-only LORD ESSEX STEAKHOUSE in the Kahler Hotel, we made a beeline for the host stand and requested a table. Talk about a step back in time. 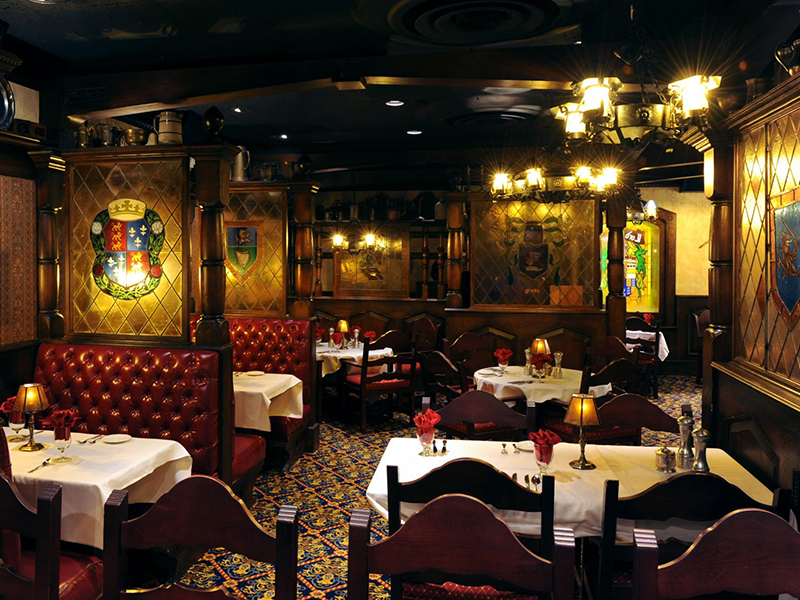 It was medieval décor on steroids – oozing Old World charm; warm, cozy, small and intimate. It reminded me of the splendid design work of Paul Albitz back in the day in Minneapolis. Anybody remember THE CAMELOT? 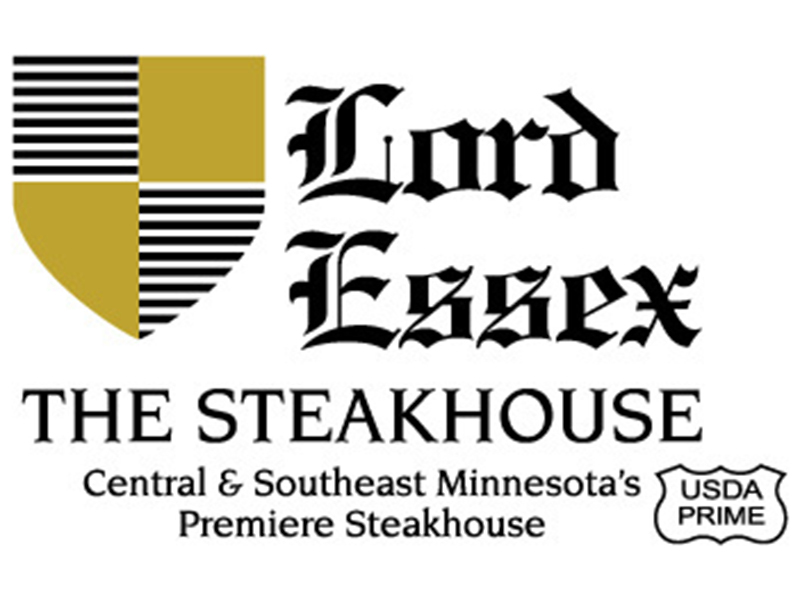 I thought that I was aware of every important steakhouse in Minnesota, yet I had never heard of the Lord Essex. WHY? It turns out that the restaurant was only recently converted into a steakhouse. 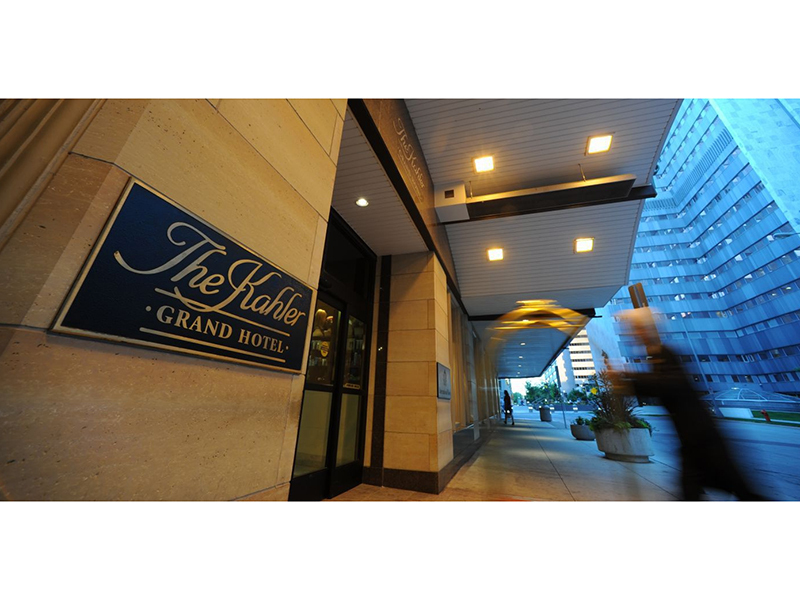 For most of the Kahler’s nearly 100 years, it served as the hotel’s bar while THE ELIZABETHAN ROOM was the main restaurant. By the way, you’ve got to love any restaurant with “Room” in its name. Remember THE ORION ROOM at the IDS Center? THE PUMP ROOM at the Ambassador East Hotel in Chicago? 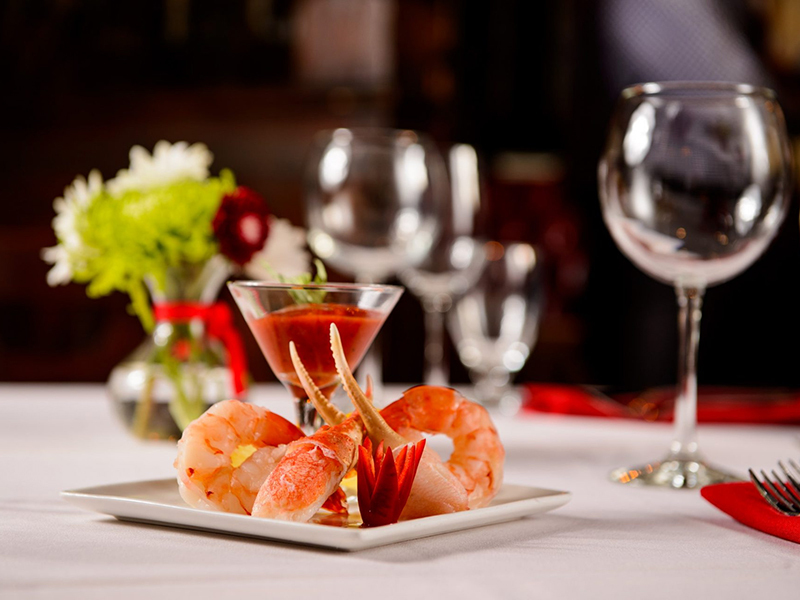 And of course THE OCEANAIRE SEAFOOD ROOM. So retro classy! I think if I do another fish restaurant, it’ll be PHIL ROBERTS’ NEPTUNE ROOM. 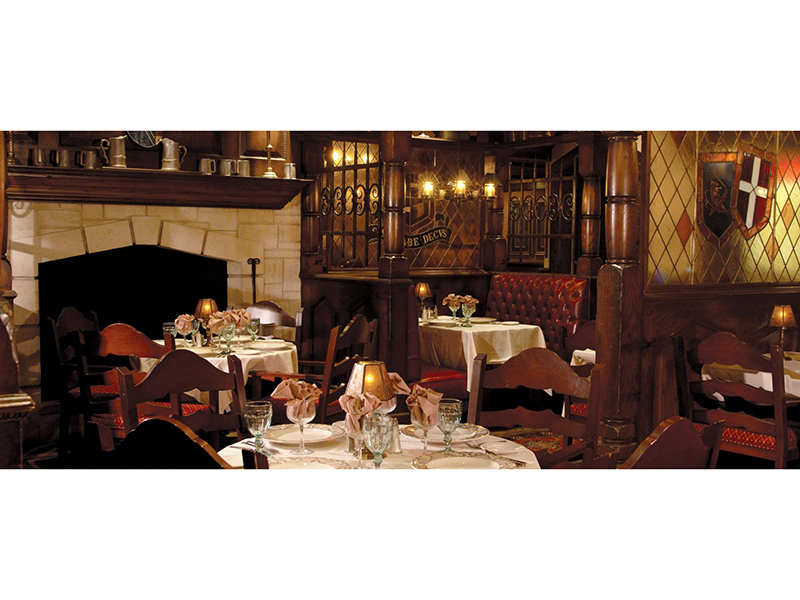 Today The Elizabethan Room serves as banquet space. 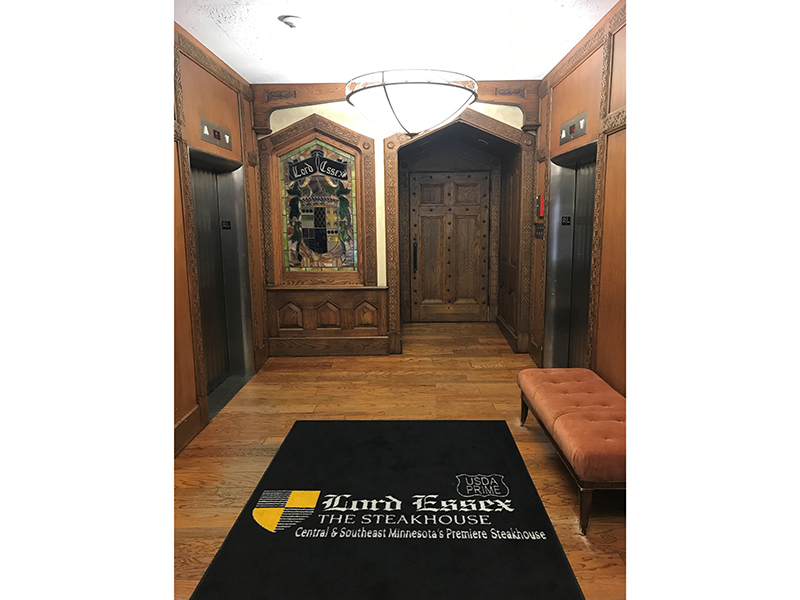 And although I can’t be sure, I suspect that the menu at the Lord Essex’s predecessor was probably centered around meatloaf and walleye for many of those years before becoming a steakhouse. 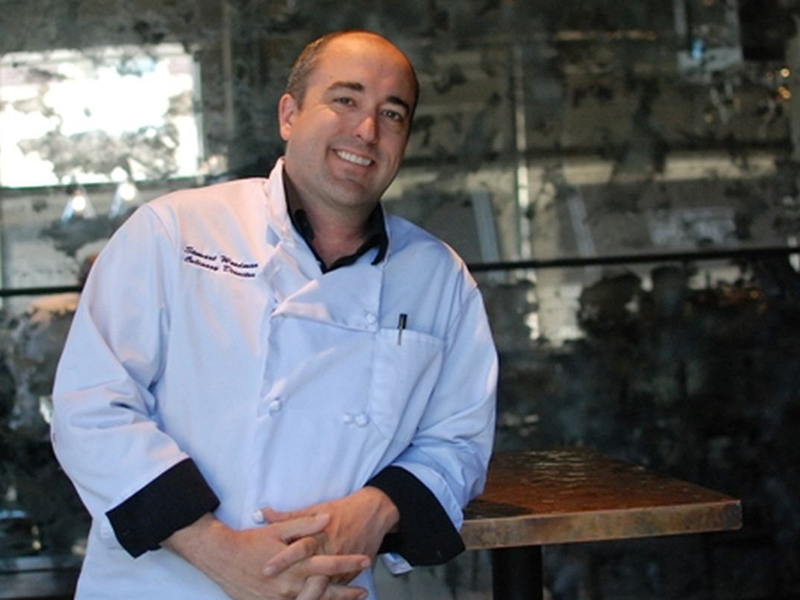 Oh, and I also learned that rock star chef Stewart Woodman opened the restaurant. 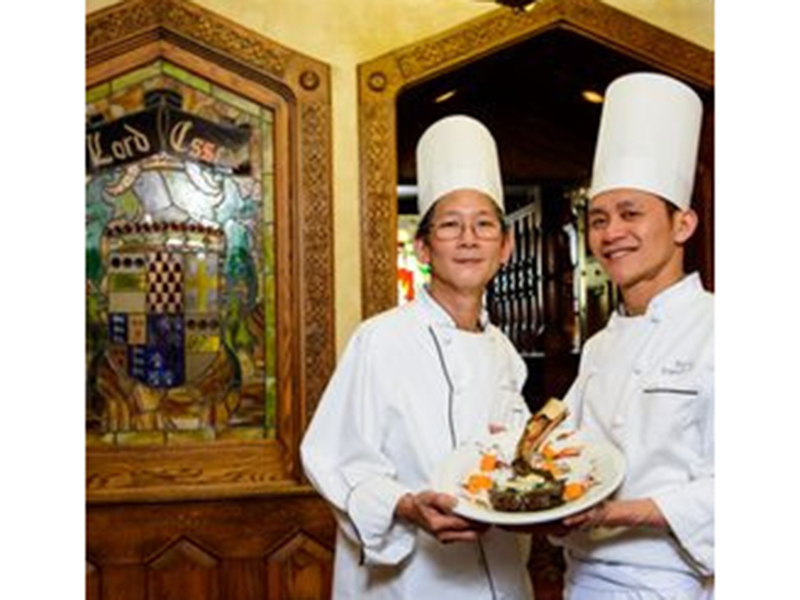 But he has departed, and now the culinary team is in the capable hands of Tommie Tran and Duc Le. 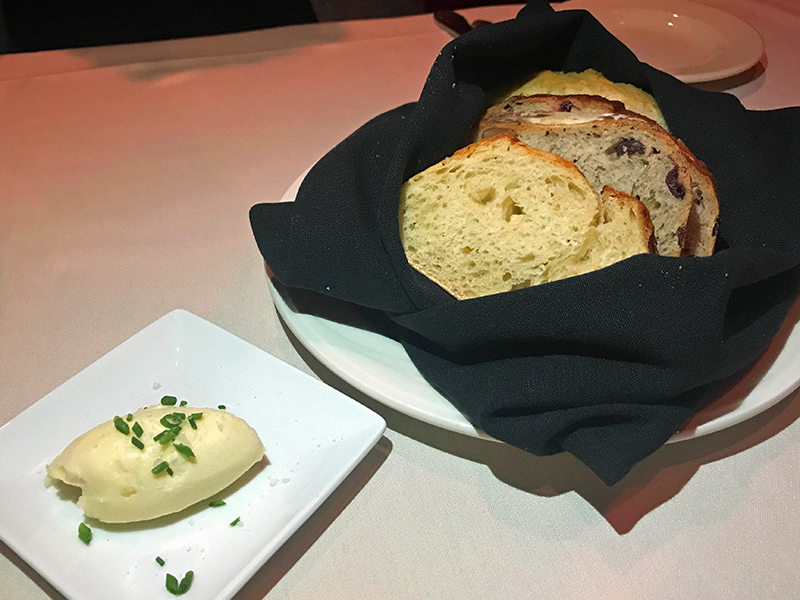 Seated in a cozy red leather booth (#311), our server brought us a basket of quite good bread, embedded with raisins and other dried fruit. Then she wheeled up the meat cart and showed us the steaks, which looked impeccable. 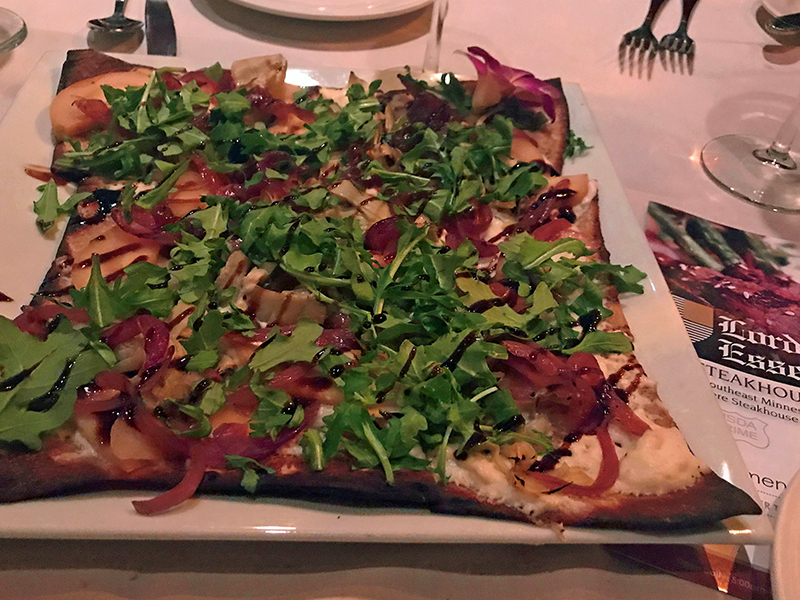 Appetizers were a Crab Claw and Shrimp Cocktail (typical steakhouse fare) and an outstanding Goat Cheese Flatbread with apples and caramelized onions (not your typical steakhouse fare). Salads were generous and crispy. 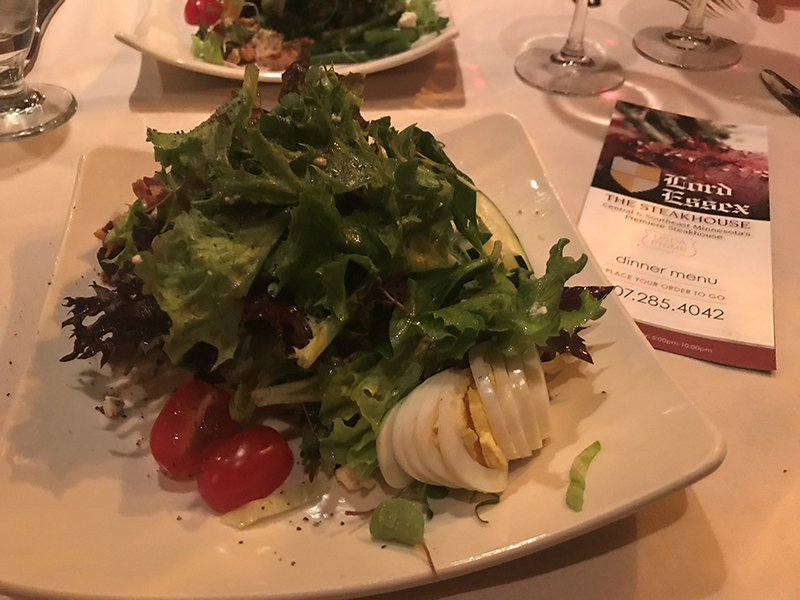 Joanne had the Farmer Salad with goat cheese and golden beets. 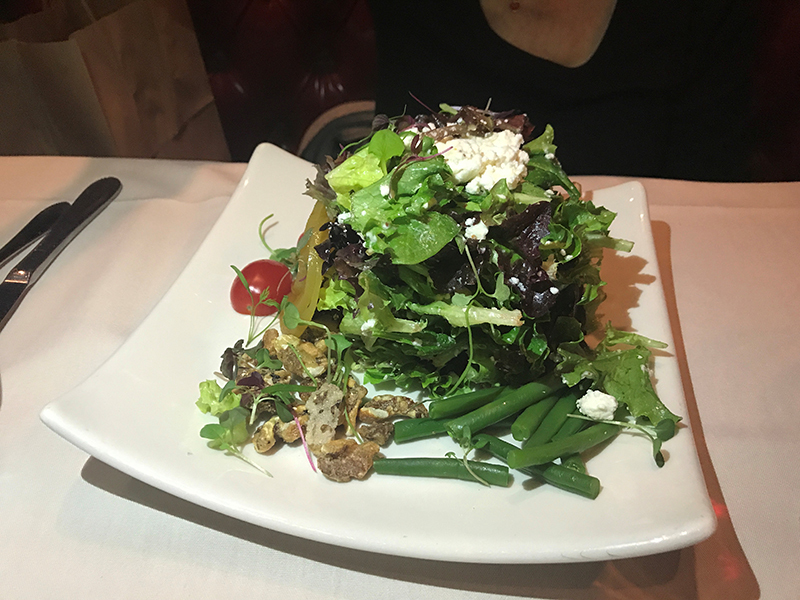 I enjoyed the Chophouse Salad with bleu cheese, cucumber and hard boiled egg. So how were the steaks? I couldn’t tell you. 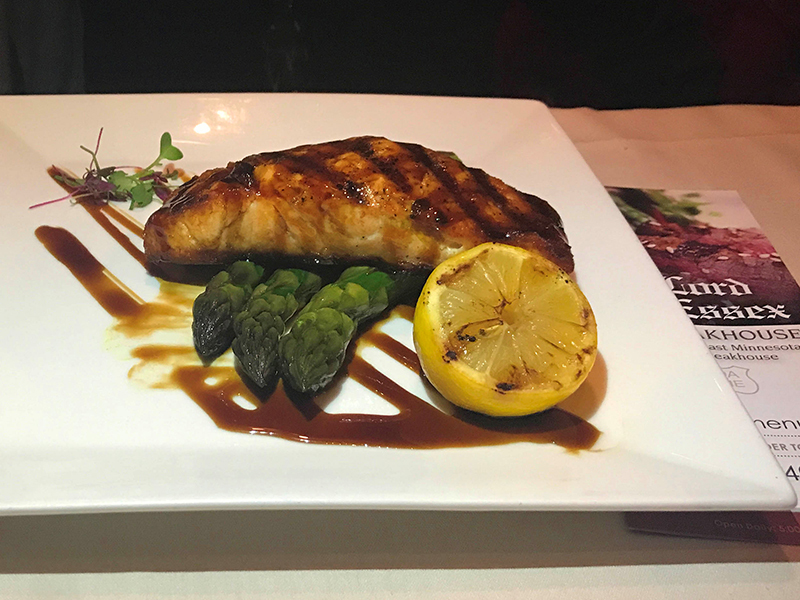 We got the Grilled Salmon and the Roasted Chicken. 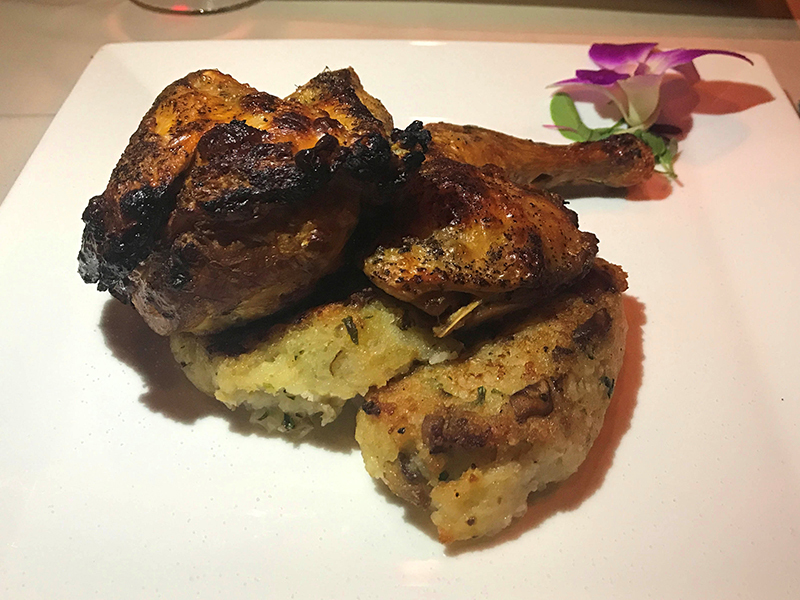 I know, I know – pretty lame for a blog post about a steakhouse discovery. But just as I was about to order, Joanne reminded me that I was going to get weighed first thing in the morning. Suddenly I had a taste for chicken. So without being able to tell you firsthand about the steak, what’s my take on the place overall? We liked it and would definitely go back. Our dishes were tasty, and I can only assume the steaks would be just as good. Service was smart and attentive, too. 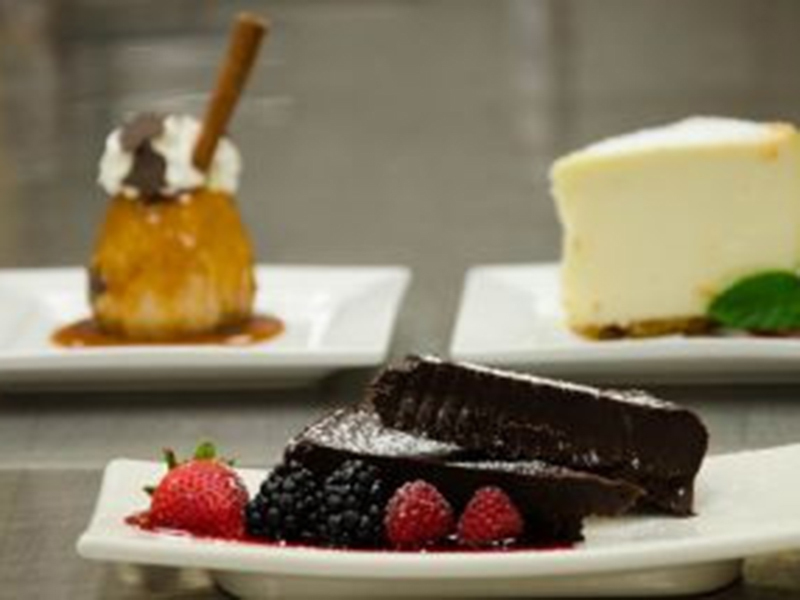 Dinner at The Lord Essex won’t break the bank, either. 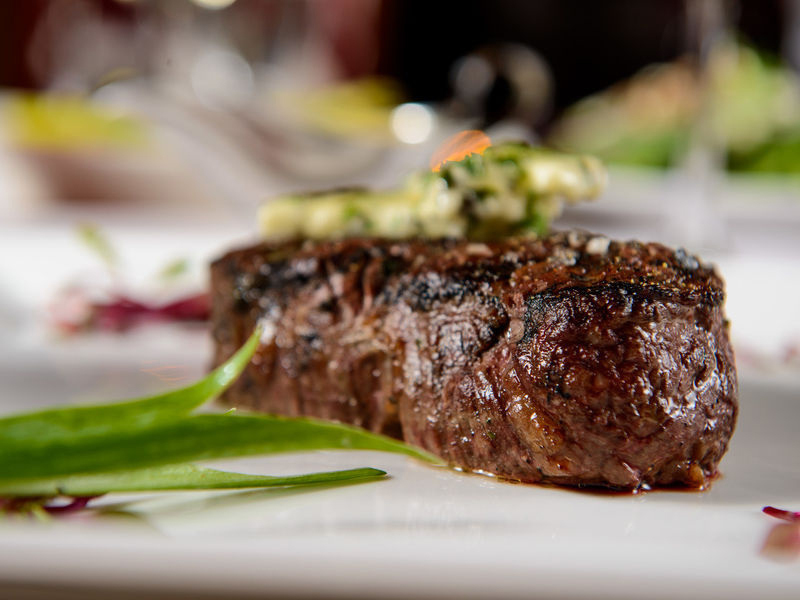 Expect to pay about $40-75 per person depending on wine; not bad for a first-class steakhouse. I’m not certain I understand the Rochester market. On a Thursday night, the restaurant wasn’t very busy. You’d think, with thousands of people coming to the Mayo every week, it would have drawn a larger crowd. 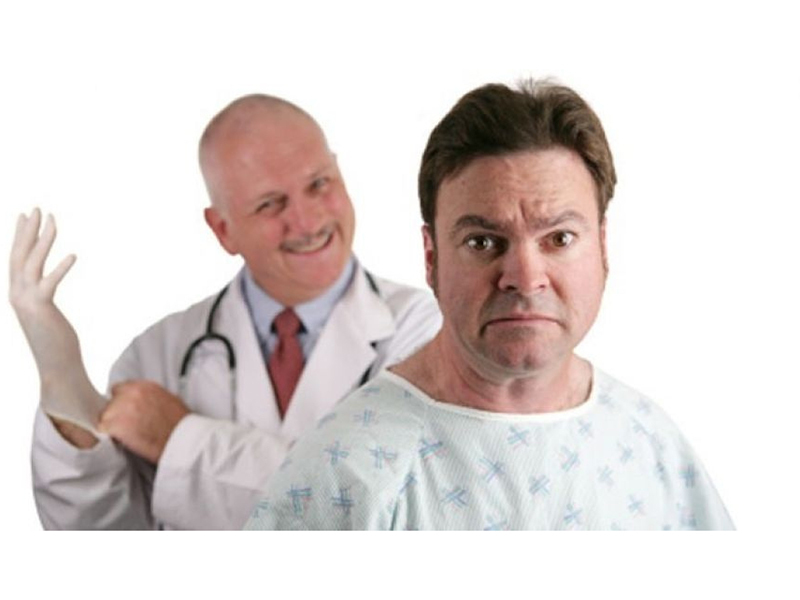 Then again, I’m told that the clinic “front loads” patients on Monday, Tuesday and Wednesday of each week, leaving Thursday and Friday open for follow-up tests, so maybe that impacts the number of diners at the Kahler. WTF – give ‘em a try. I think you’ll like The Lord Essex – especially if your dining companion doesn’t shame you into ordering the chicken.